Andar Bahar also known as Katti in western and southern India is a card game which originated in Bangalore many centuries ago. It is a very simple 50/50 game that involves the use of a single pack of cards. The dealer deals a single card face up into the middle of the table and then proceeds to deal face up cards to the left and right of the middle card. When a card appears that matches the value of the middle card then the game ends. Before the start of the game, players bet on which side they think the game will end on. This game is very simple and easy and require no strategy to play. As the name suggests andar bahar or in and out, a card is cut (katti) and a player decides inside or outside. This game is widely played in Bangalore and Goa. In Bangalore, you can spot an Andar Bahar game around allies, bus stops, outside bars etc. On streets many people just sit down with a deck of cards and people stand around to bet. The dealer offers a cut. 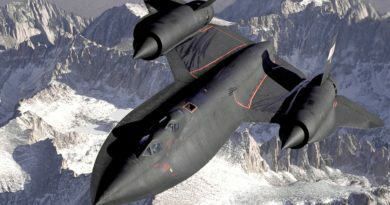 You then bet on that card will be dealt on the inside or the outside. He then deals the cards one a time alternating between two spots; one spot called inside, the other spot called outside. He keeps dealing until the card that was originally cut appears. If it appears on the outside those who bet that spot win and the others lose; same is true if it appear on the inside (inside bettors win / outside bettors lose). The odds are 50/50, similar to flipping a coin and calling heads or tails. Whilst the game is often innocently played between friends, it does also have a long association with cons, cheats and organized crime. So the basic is that cards are again reshuffled after end of game and then dealt one at a time to each of two spots called the inside spot and the outside spot. Again if the player was correct in his choice of inside or outside based on where the previously cut card lands, he wins the bet. If not, he/she loses the bet and the game goes on till players no longer wish to play. Whilst the game might sound simple, many of the games offered in Bangalore are rigged. There are many ways this occurs. A novice cheat might have enough skill to move the cut card to the bottom for later use. A seasoned cheat can often position the cut card in such a way he knows which spot it will be dealt. On top of rigged games you also need to pay attention to sucker odds. If they can get away with it, many dealers will charge Rs. 120 or even Rs. 140 for the opportunity to win Rs.100. This game is illegal, but with big cuts going to the mafia you’ll find it offered frequent enough. It is also a game the wealthy are secretly allowed to play in many five star prisons. Or better yet, when a hustler is locked up he might just find himself dealing in a private rigged game ran by the prison guards. 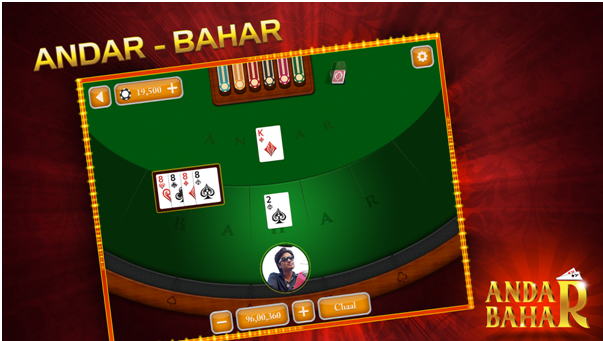 First of all know that Andar Bahar is available at online casinos only for free to play and cannot be played for real money. Also no international casinos offers this game. If you but wish to play for real money then only it is played at real casinos in India like the Casino Royale in Goa. Though is this game is merely heads or tails its played for reasonable stake and a great way to gamble. Although 1.2 million tourists visit Goa each year, this game is certainly there for Indians. In Goa the game is fair though, and there are also additional betting opportunities that prove this. At online casinos this game is offered by Andar Bahar Jackpot online website only. 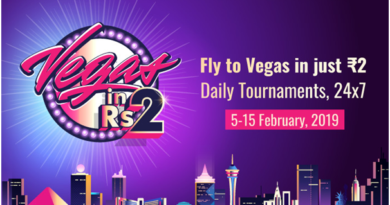 It is not offered online at any other casinos. All you need is to register yourself at Andar Bahar Jackpot online or play as Guest or login with your Facebook account. On starting the game after inputting your profile details, you get a offer of daily bonus each time you start the game. 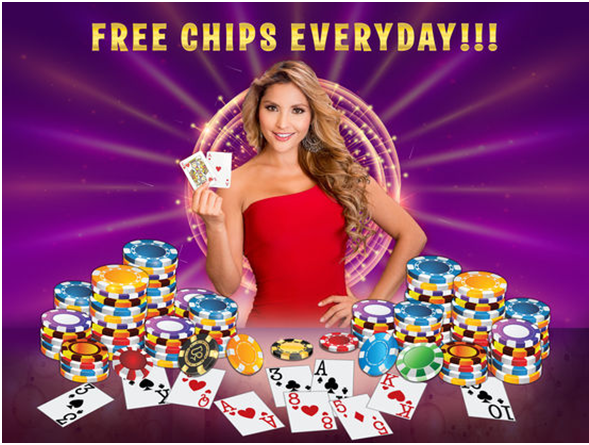 You also get free chips for playing the game and a great interface where you talk to players all over the world. Then a unique card is chosen by any of the players. You have 10 seconds to place your bets. Bets can be placed in either the Andar(A) spot or the Bahar(B) spot or both spots. If the first card drawn is a Black then the dealing starts from the Andar(A) spot and if it is a Red, then the dealing starts from the Bahar(B) spot. The fun aspect of this game is simply that you have a better version of the game with every bet placed. In a case whereby your bet gets exhausted while in a game session, you can get a tip from the tip button at the top left corner of the game. The game is won when a similar card number as the unique card falls into the Andar(A) or Bahar(B) spots; specifically the spot in which your bet is placed. With this exceptional “in game” option, every game player has the benefit of selecting their own choice card which is open and random. If your selection goes with the unique card, you certainly have won the day. Also there is a card shuffle option which enables every game player to place a wager on displayed cards and also allows you the privilege of viewing the cards being shuffled. It also has an option for changing the middle man which is the card shuffler. With this option, if a player guesses a card right, the player wins a unique NX chip, but if the player guesses wrong, the player loses his bet. There are also few apps available at Google Play and at iTunes store to play this game for fun with your Android smartphone or iPhone. The game app offers some of the best exciting features like you get festival bonus with upcoming festival if you login on that particular day. 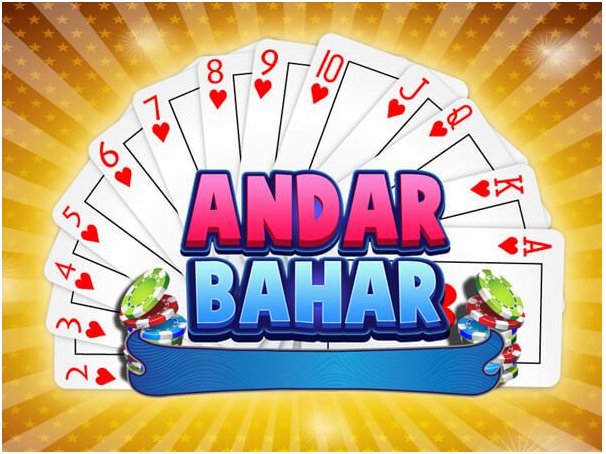 Play with the original rules of Casino Andar Bahar game with entire 52-card pack and increase your chances of winning because there are no missing house cards from deck. As the app is social app you can make any friend to play Andar Bahar Jackpot by sending in a ‘friends request’ in the game itself irrespective of any social bonding with your Facebook account.